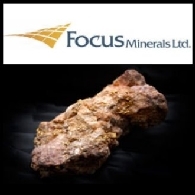 Focus Minerals Limited (ASX:FML) is a leading Australian gold producer operating two significant production centres in Western Australia's Eastern Goldfields. The company is the largest landholder in the Coolgardie Gold Belt, 35km west of 'Super Pit' in Kalgoorlie, where it operates 3 mines: The Tindals Underground; Tindals Open Pits; and The Mount underground. Gold is processed at Focus' 1.2Mtpa processing plant, Three Mile Hill, which is adjacent to the town of Coolgardie. Focus also operates, through its 81.57% majority shareholding in Crescent Gold, the Laverton Gold Project, located 250km northeast of Kalgoorlie in Western Australia. Laverton comprises a significant portfolio of large scale open pit mines, with ore being processed under an OPA at the nearby Barrick Granny Smith mill. 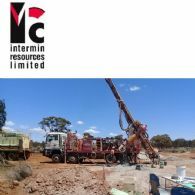 Intermin Resources Limited (ASX:IRC) is pleased to announce the commencement of the 2019 regional exploration drilling program. The initial 11,000m program will focus on regional projects in the Kalgoorlie and Menzies regions following up results from the 2016, 2017 and 2018 programs. 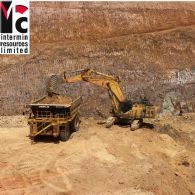 Intermin Resources Limited (ASX:IRC) has entered into an Exclusivity Deed with Focus Minerals Limited relating to the potential acquisition of Focus&apos; 2.1Moz Coolgardie Gold Project, which includes the 1.2Mtpa Three Mile Hill processing plant. The technical evidence is mounting for a significant change in market sentiment for gold and the gold sector in North America and in Australia. The evidence may still be tentative but important changes seem to be underway in a number of markets. 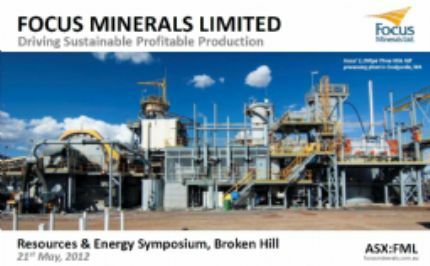 Focus Minerals Ltd (ASX:FML) is pleased to provide a Company Presentation to Broken Hill resources Conference. 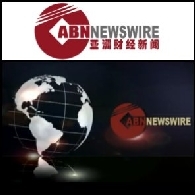 Focus Minerals Ltd. (ASX:FML), a leading Australian gold producer and explorer, said today the March Quarter results show the takeover of Crescent Gold last year has transformed the business, more than doubling Group gold production and delivering on an improvement in operational efficiencies. 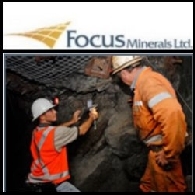 Focus Minerals Ltd (ASX:FML), a leading Australian gold producer and explorer, is pleased to announce the appointment of Paul Fromson as the Company&apos;s new Chief Financial Officer and Company Secretary following the resignation of current CFO Jon Grygorcewicz. Focus Minerals Ltd. (ASX:FML), a leading Australian gold producer and explorer, has produced 47,489oz1 of gold for the March Quarter - a 28% increase on the December Quarter. Focus Minerals Ltd (ASX:FML), a leading Australian gold producer and explorer, is pleased to update the market with preliminary results from its recent infill drilling program at its 100% owned Treasure Island Gold Project on Lake Cowan. 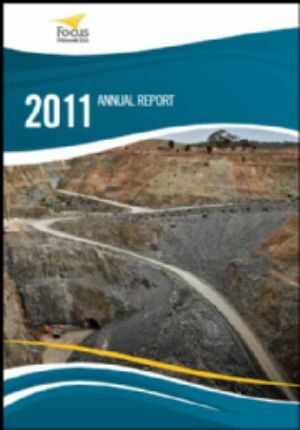 Focus Minerals Ltd (ASX:FML), a leading Australian gold producer and explorer, is pleased to report a strong result for the half year ended 31 December 2011. 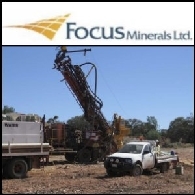 Focus Minerals Limited (ASX:FML) a leading Australian gold producer and explorer, said today that reconnaissance drilling at its Treasure Island Gold Project at Lake Cowan has confirmed that the recently discovered gold bearing system running through the project (see ASX Release dated 24 November 2011) appears to be significantly longer in potential strike length than initial estimates.